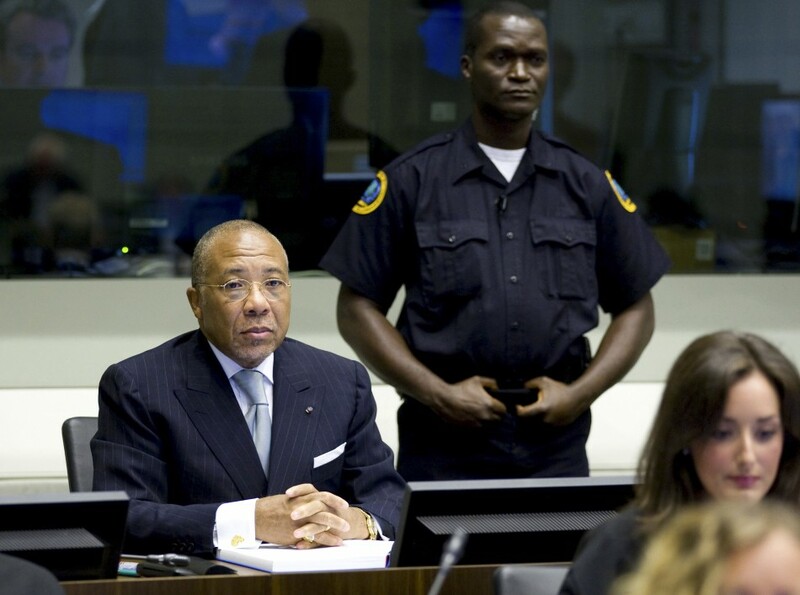 Judges at an international war crimes court have sentenced former Liberian president Charles Taylor to 50 years prison following his landmark conviction for supporting rebels in Sierra Leone who murdered and mutilated thousands during their country’s brutal civil war. The Special Court for Sierra Leone found Mr. Taylor guilty last month on 11 charges of aiding and abetting the rebels who went on a bloody rampage during the decade-long war that ended in 2002 with more than 50,000 dead. The 64-year-old warlord-turned-president became the first former head of state convicted by an international war crimes court since the Second World War. Prosecutors asked judges at the Special Court for Sierra Leone to impose an 80-year sentence; Mr. Taylor’s lawyers urged judges to hand down a sentence that offered him some hope of release before he dies. Mr. Taylor will serve his sentence in a British prison. He is expected, however, to appeal his convictions and will likely remain in jail in The Hague while the appeals process plays out. At a sentencing hearing earlier this month, Mr. Taylor expressed “deepest sympathy” for the suffering of victims of atrocities in Sierra Leone, but insisted he had acted to help stabilize the West Africa region and claimed he never knowingly assisted in the commission of crimes. However, judges ruled that Mr. Taylor armed and supplied the rebels in full knowledge they would likely use weapons to commit terrible crimes, in exchange for payments of “blood diamonds” often obtained by slave labour. Prosecutors said there was no reason for leniency, given the extreme nature of the crimes, Mr. Taylor’s “greed” and misuse of his position of power. “The purposely cruel and savage crimes committed included public executions and amputations of civilians, the display of decapitated heads at checkpoints, the killing and public disembowelment of a civilian whose intestines were then stretched across the road to make a check point, public rapes of women and girls, and people burned alive in their homes,” prosecutor Brenda Hollis wrote in a brief appealing for the 80-year sentence. Mr. Taylor stepped down and fled into exile in Nigeria after being indicted by the court in 2003. He was finally arrested and sent to the Netherlands in 2006. While the Sierra Leone court is based in that country’s capital, Freetown, Mr. Taylor’s trial is being staged in Leidschendam, a suburb of The Hague, Netherlands, for fear holding it in West Africa could destabilize the region.